Home cinema Anupama missed Ramalaxmi role in Rangasthalam!! Anupama missed Ramalaxmi role in Rangasthalam!! Rangasthalam is the biggest blockbuster of Telugu film industry after Bahubali. It is very painful for any actor to miss a character in such a film. It would be more painful if anyone misses a lead role like Ramalxmi played by Samantha. Anupama Parameswaran said that she was first fixed for Ramalaxmi role, but at the last moment the character was given to Samantha for some reasons. She said that Samantha was the best suited actress for the role. 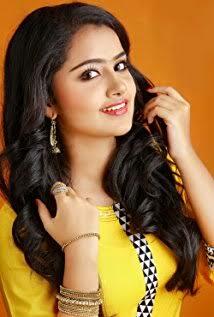 She also said that Telugu language is not a barrier for her and she will continue to act in Telugu movies. Trivikram has helped her to learn Telugu during A Aa shooting.